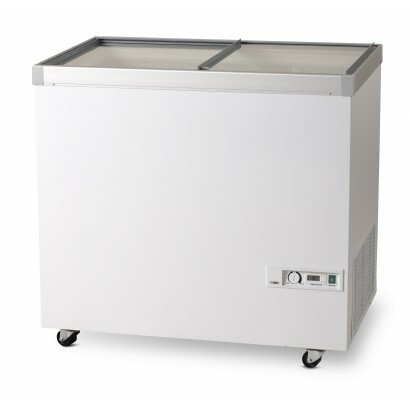 Perfect for any shop, café or convenience store, our chest display freezers are available in a wide range of sizes and styles with sliding or hinged lids and a huge range of sizes to suit any capacity. 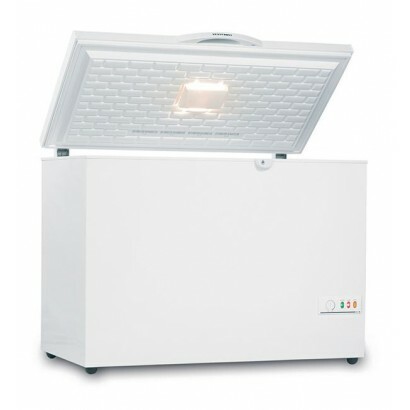 When space is a premium choose one of our counter top display freezers. 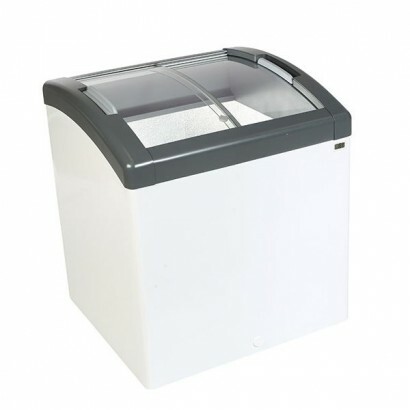 Great for boosting impulse sales or promoting new products these units are compact and easy to use and can be used in the smallest of retail outlets. 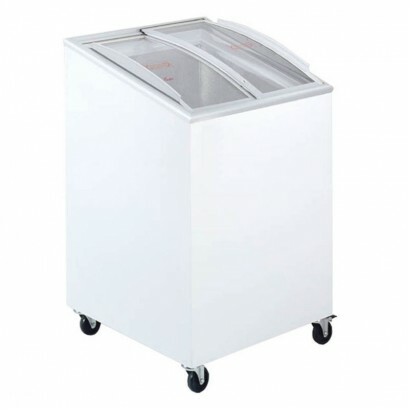 If you want to retail your ice cream stylishly and effectively we have the right ice cream display freezer for you. 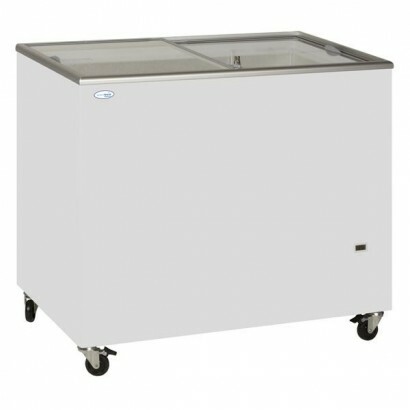 Choose from simple chest designs and to canopy covered service area and large serve over style cabinets perfect for ice cream parlours. 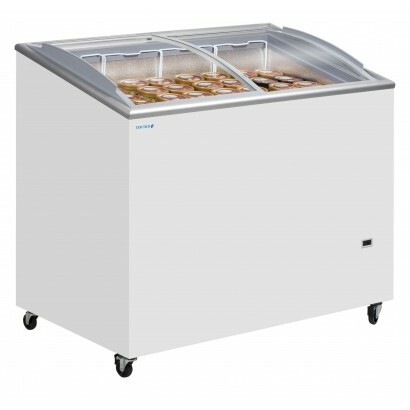 Island display freezers are the perfect large capacity solution to frozen food display. 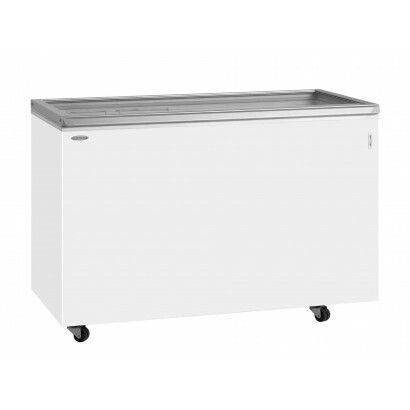 Designed with the freezer supermarket in mind, these units can be accessed from all sides with sliding lids for easy access and large storage and display capacity. 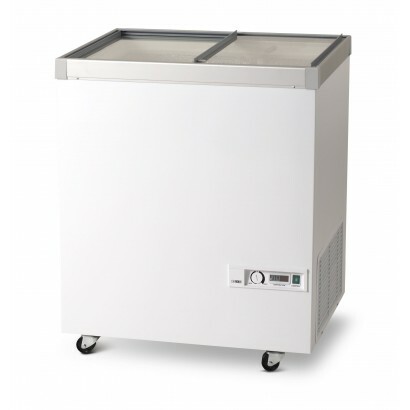 Remote freezers are ideal when you want the refrigeration on the outside of your premises, keeping the noise and heat away from you retail area. 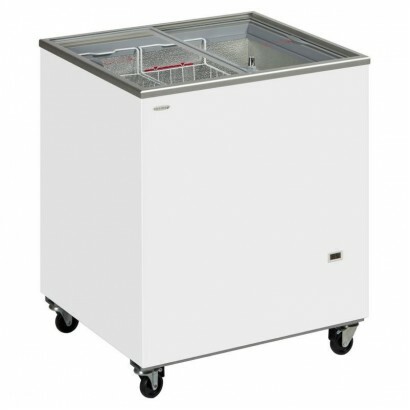 These units provide specialist freezer space with precision engineering and eye-catching design. The perfect retail space for cafes, shops and convenience stores. 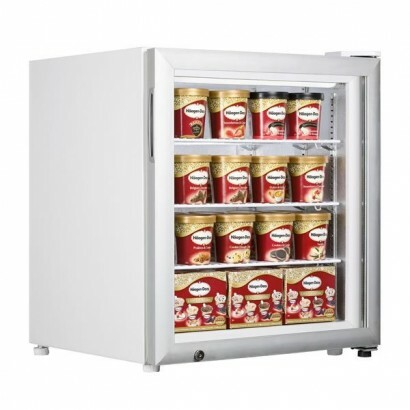 Our upright display freezers are available in single and double door models and the range includes the ever popular Vestfrost NFG309 and the Kool F10 double door display. For help and advice with any of the products available in this section please call our sales team on 0161 442 9174. 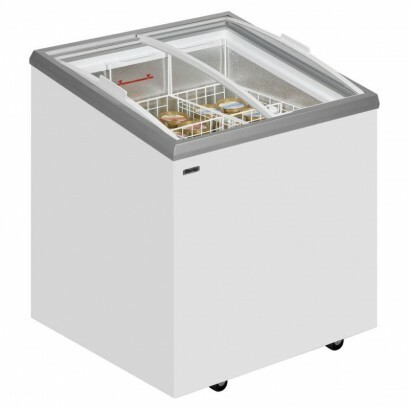 The Tefcold IC100SC Range Sliding Flat Glass Lid Chest Freezer is a beautiful freezer perfect for di..
GREAT value compact curved lid display freezer ideal for ice cream. 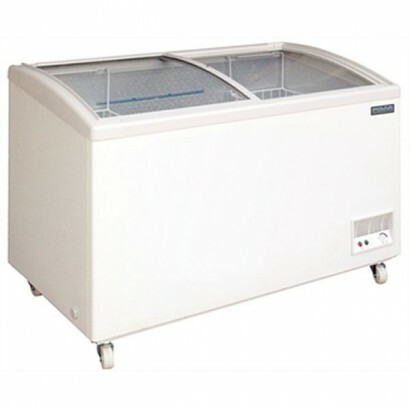 The unit has a capacity for two ..
Tefcold chest display freezer. 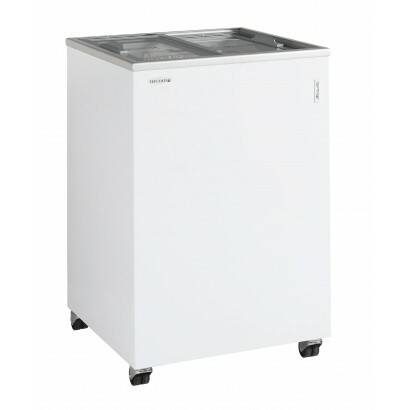 4 cabinet sizes available with flat sliding glass lids to display you.. 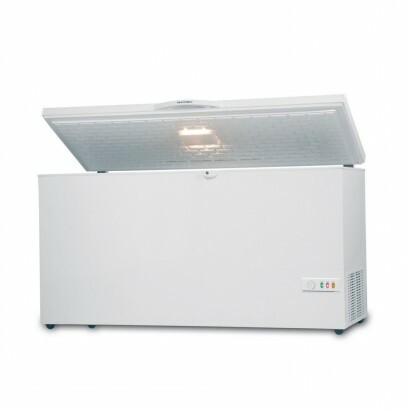 The Tefcold UF50G counter top display freezer is available with interior light, triple glazed door a.. 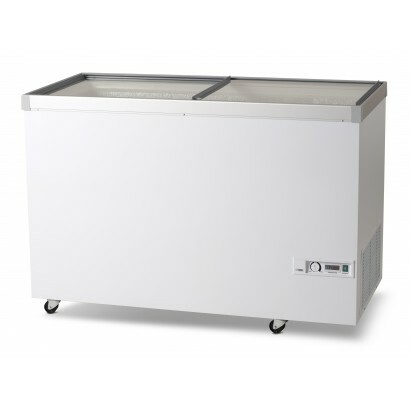 The Derby EK-ST chest freezer display has a flat sliding lid which gives a large chest display for y.. 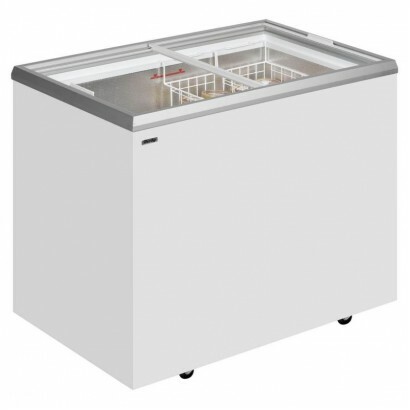 The Derby EK-C Chest Display Freezer has a curved glass sliding lid, hammered aluminium in.. 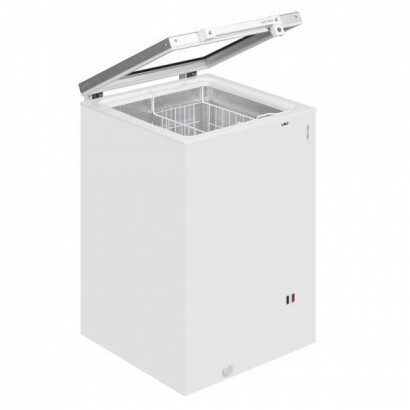 The Tefcold IC SCEB curved lid display freezer is from Interlevin and comes in four cabinet sizes al.. 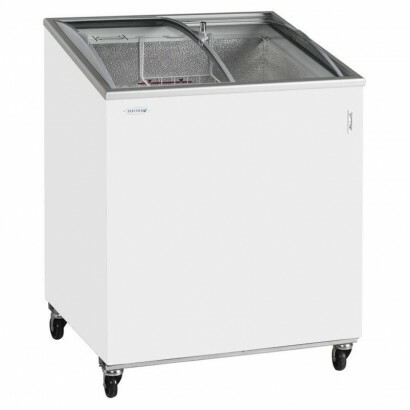 The Tefcold NIC SCEB Range includes such features as adjustable temperature, temperature display and..
A great curved glass design and stylish curved edges, the Elcold Focus range is available in five si.. 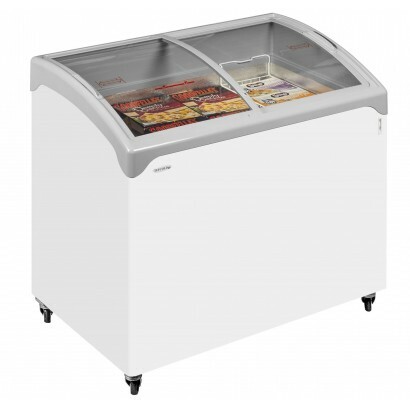 The Tefcold IC300SC Range Sliding Flat Glass Lid Chest Freezer is perfect for displaying frozen good..